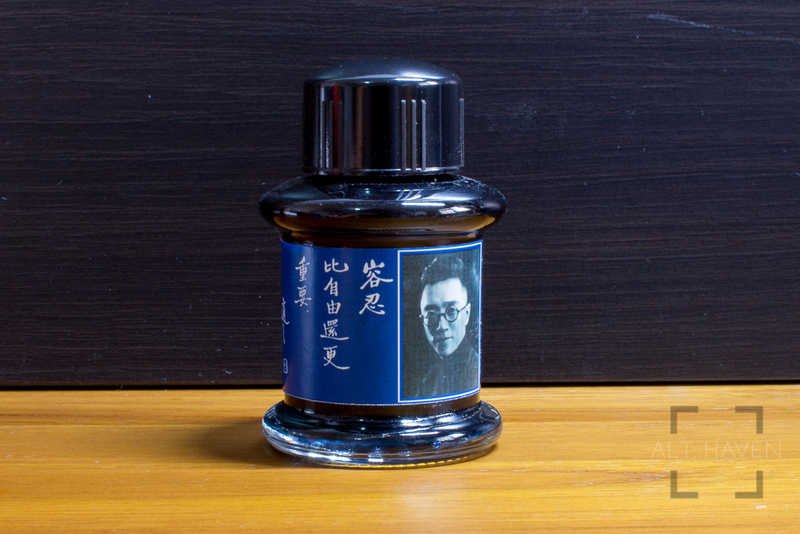 My thanks to Louisa for the ink sample. 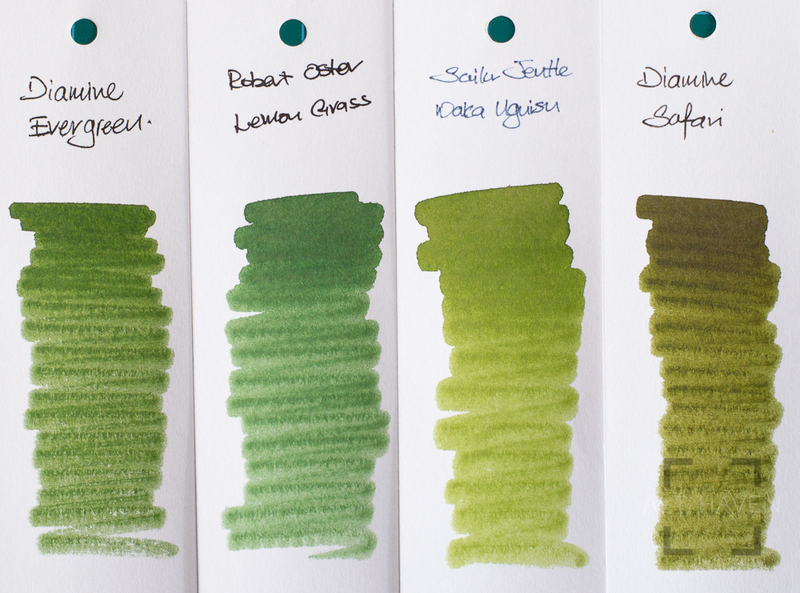 Diamine Evergreen is a surprisingly deep dark green with a slight hint of grey undertone. 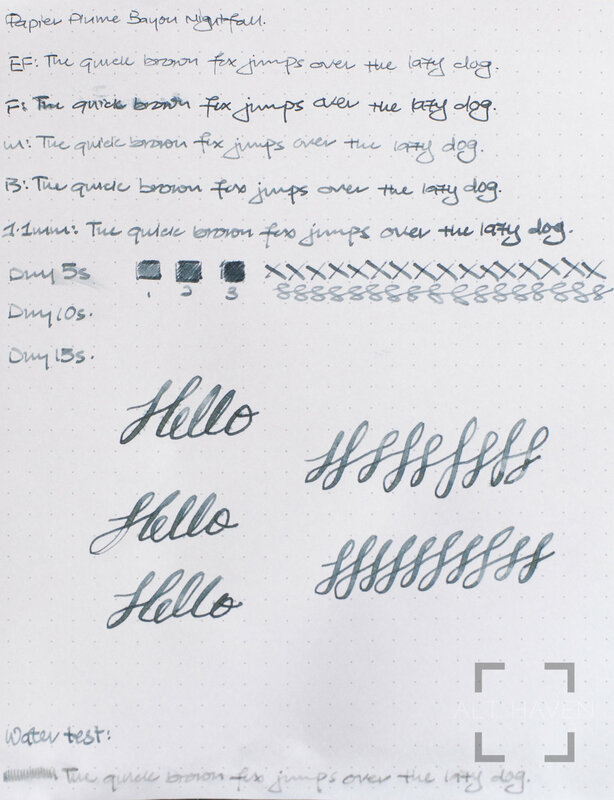 Shading is really hard to come by in most nib widths. 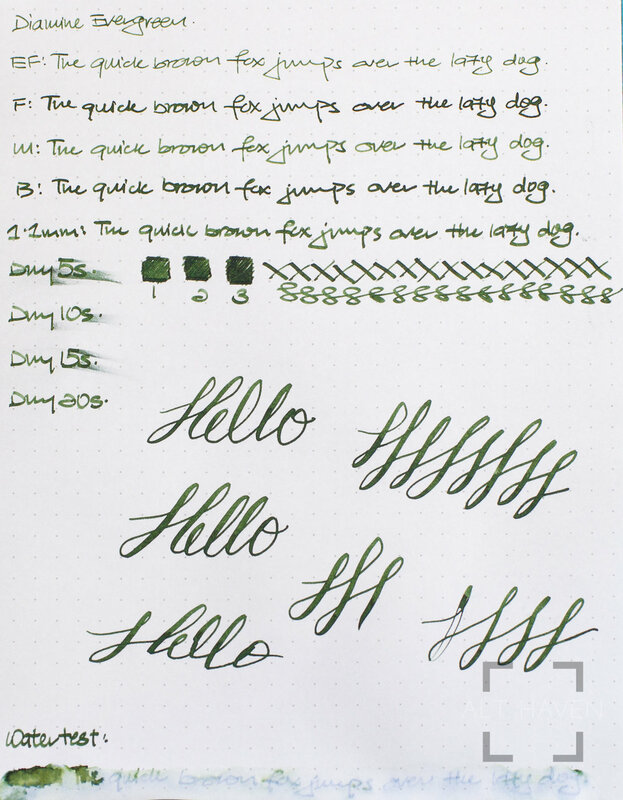 Even in the 1.1mm stub, the shading is really subtle. 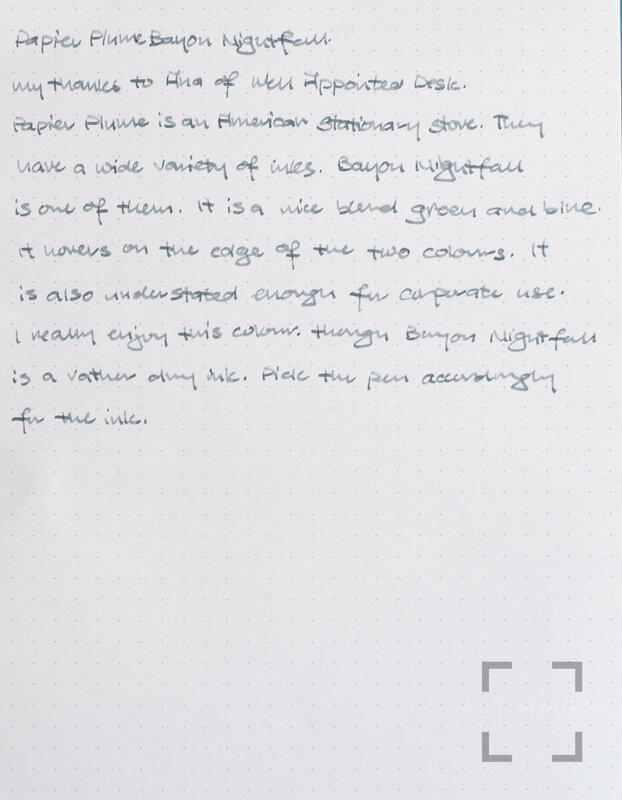 Diamine Evergreen looks almost black unless you look closely. 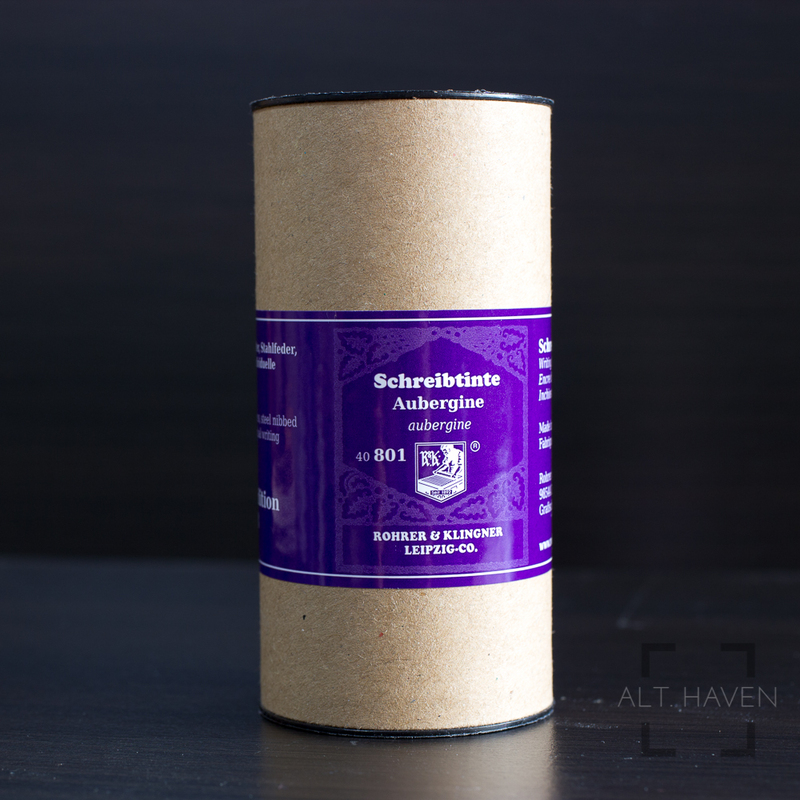 I’ll say this makes it a good alternative to standard black and blue inks for corporate use. 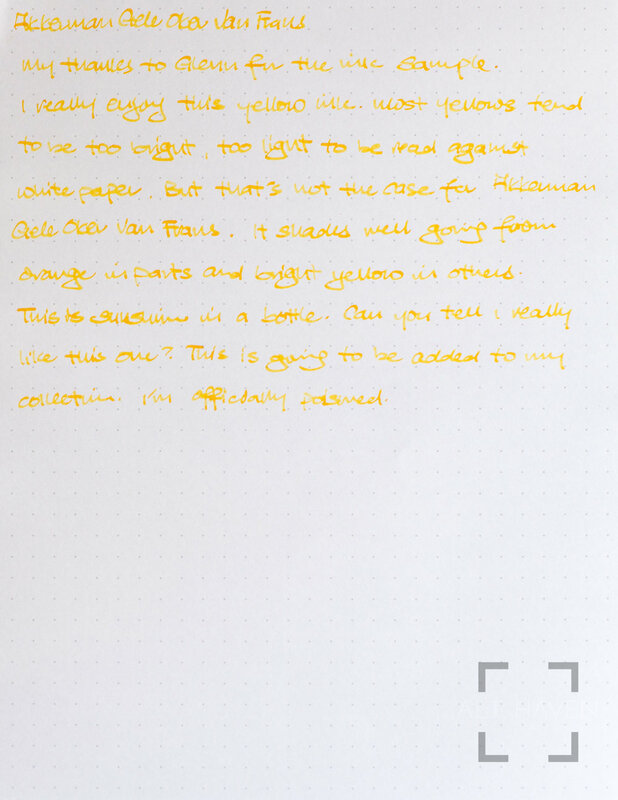 I really enjoy this yellow ink. Most yellows tend to be too bright, too light to be read against white paper. But that’s not the case for Akkerman Gele Oker Van Frans. It shades well, going from orange in parts to bright yellow in others. 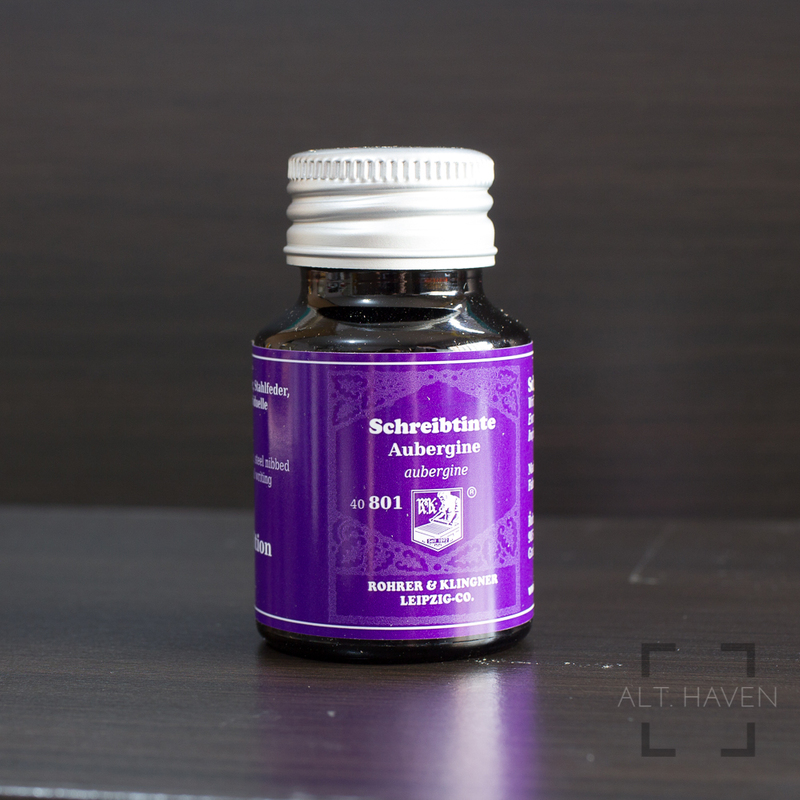 This is sunshine in a bottle. Can you tell I really like this one a lot? This is going to be added to my collection. I’m officially poisoned.